If you have any concerns about the condition of a patient under Mr Sehat’s care, in particular any suspected post-operative complication please inform us at the earliest opportunity to arrange a prompt review. If you suspect an infection associated with bone/joint or prosthesis, as long as the patients condition permits, please do not commence empirical oral antibiotic therapy. We would prefer to see the patient ourselves (within 48 hours is acceptable) and obtain microbiological samples to guide subsequent therapy. This improves the overall efficacy of the treatment. For patients who have had elective orthopaedic surgery at the Park Hospital or Woodthorpe Hospital please call the relevant hospital and inform the nurse in charge. They will arrange an urgent review as indicated. 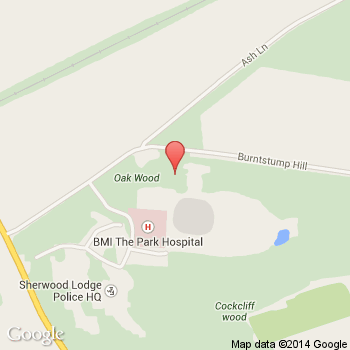 Mr Sehat has a Trauma practice at the Queens Medical Centre, the base of the East Midlands Major Trauma Unit. For trauma patients under Mr Sehat’s care, there are a weekly fracture clinic and trauma operating list for acute cases. If you would like to refer a patient with a traumatic condition for a routine fracture clinic appointment at QMC, please fax a referral to the fracture clinic on (FAX) (0115) 875 4551 and your patient will be seen within one week. If you would like to request an appointment with Mr Sehat specifically, please call Mr Sehat’s trauma secretary on (0115) 924 9924 ext 64117. Referrals of patients who need to be seen that day should be made to the Orthopaedic Trauma Registrar on call at QMC via QMC switchboard on (0115) 924 9924. Please contact the appropriate secretary as listed under ‘Contact Us’. 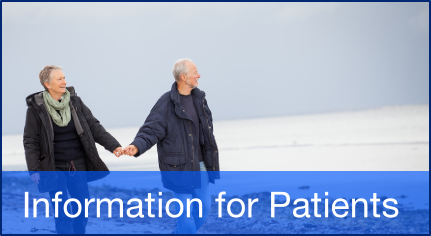 The ‘information for patients’ pages provide some useful knowledge that your patients may find helpful, including information on common conditions and their surgery. Information on the routine peri-operative care of patients in primary care who have undergone knee arthroscopy or knee or hip replacement surgery is provided at the end of this section. The results of knee and hip replacements in general and for Mr Sehat are provided under outcomes of knee and hip replacement surgery. Patients can provide feedback on the quality of care received by using the feedback link on this website. Mr K Sehat is a consultant orthopaedic surgeon based at Nottingham University Hospital and an Honorary Lecturer at the University of Nottingham Medical School. His specialist elective interests are surgery for conditions of the adult knee and hip including knee and hip replacements and surgery for femoro-acetabular impingement. He also has a general trauma practice. 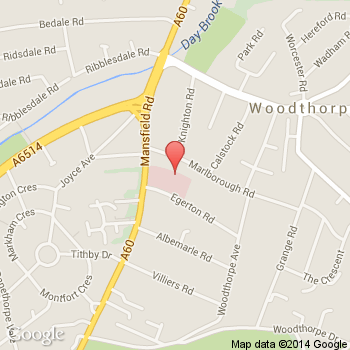 His NHS elective practice is based at the Nottingham City Hospital (NCH). 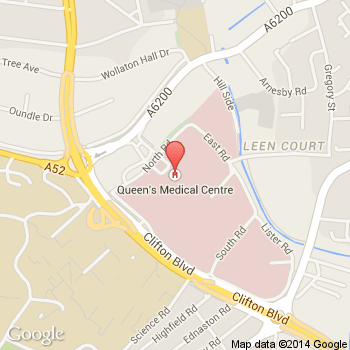 His trauma practice is at Queens Medical Centre (QMC). Both hospitals are part of the Nottingham University Hospitals NHS Trust (NUH). In addition, some elective clinics are run by the Circle Treatment Centre. 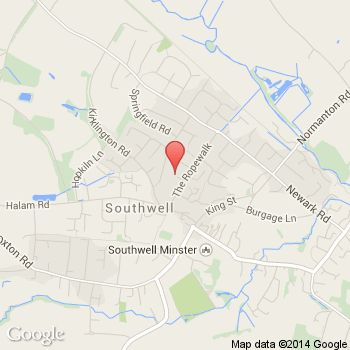 Mr Sehat holds elective NHS and PRIVATE clinics in various locations in Nottingham and also in Southwell. 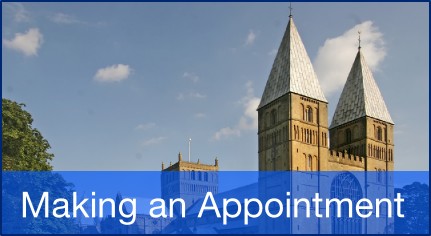 Appointments for these NHS clinics are available via NHS choices ‘Choose & Book’. Appointments can be made by calling Mr Sehat’s private practice manager, Samantha Russell on (0115) 896 7641. Patients who choose to be seen at Mr Sehat’s NHS elective clinic at Nottingham City Hospital will have further investigations (such as scans) and if indicated will be listed for surgery also at Nottingham City Hospital which has facilities for all of the surgical procedures and joint replacements carried out by Mr Sehat, including complex and revision surgery. Peri-operative optimisation of medical co-morbidities is performed in association with the relevant specialities. Patients who choose to be seen at Mr Sehat’s NHS clinics in Southwell or at the Circle Nottingham Treatment Centre will have investigations such as scans and any day case surgery such as knee arthroscopy at the Treatment Centre and any inpatient surgery will take place mostly at the Nottingham City Hospital. Meniscal tear, early and moderate OA, synovial biopsy, arthroscopic synovectomy and diagnostic. Day case procedure in most cases. Bilateral knee arthroscopy and arthroscopic synovectomy may require a one night stay. The knee will have a bandage and the patient will be walking with two crutches, weight bearing as tolerated to full weight bearing. A few patients (eg: who have had microfracture treatment or meniscal repair) may be instructed to partially weight bear for 6 weeks and wear a brace that is provided. Physiotherapy exercises will be instructed. We will ask the practice nurses to remove the bandage after 48 hours and remove the sutures after 10-12 days. A clinic visit at 6 weeks post-op will be arranged. Initial one or two weeks: resting at home and carrying out physiotherapy exercises. Patients are encouraged to walk outside the house by two weeks and can usually return to driving by three weeks. Recovery from the operation takes about six weeks but is very variable and is dependent on the pathology being treated. Patients should discuss their individual circumstances in clinic but can usually resume work by approximately 4 weeks. Patients with isolated meniscal tears undergoing arthroscopic partial menisectomy would be ready to commence appropriate exercise and daily activities after 6 weeks and can expect an improvement to demanding activities by 3 to 6 months. Patients with arthritic knees undergoing debridement and staging will have a variable outcome depending on the severity of arthritis. Symptoms may be improved for up to about a year in two thirds of cases but may well have no improvement in symptoms or potentially be slightly worse in about one third, requiring further treatment, however the information obtained at arthroscopy will be necessary for planning further management. Knee arthroscopy carries a low risk of significant complications. Sanguinous discharge from the portals is occasionally seen in the first few post-operative days and will settle with renewed pressure bandaging. Monitoring for VTE, septic arthritis and general medical complications is appreciated. Advanced and severely symptomatic Degenerative Joint Disease most commonly due to Osteoarthritis or inflammatory arthropathy. Patients will be discharged home after four days if they have help at home. They will be mobilising with crutches. Patients will be instructed to either fully weight bear or partially weight bear for 6 weeks, depending on the precise operation. Knee replacement scars are usually closed with skin clips and we will ask for removal of clips after 10-12 days in the community. Hip replacement scars are usually closed with absorbable subcutaneous sutures and we will ask for a wound inspection only. Patients regain independence at home by 4 to 6 weeks post-op. Physiotherapy reviews will be arranged following discharge by the hospital. Clinic visits at 6 weeks post-op, optionally at 4 months and at 1 year, 5 years and 10 years. Patients can shower from the time of discharge but not submerge the limb in a bath until the surgical scar is dry or at least 2 weeks.. Discharge to 2 weeks: resting at home and carrying out physiotherapy exercises. 4 to 6 weeks: usually will regain independence at home. 6 to 8 weeks: can usually return to driving at around 8 weeks. (Driving is not permitted for 6 weeks). 8 to 12 weeks: Patients tend to start to experience an improvement in their symptoms and can switch to one crutch at approximately 8 weeks. 3 to 6 months: a walking stick is optional dependent on patient fitness. Walking around half a mile for the typical patient. 6 months to 1 year: Further progress and improvement to final outcome. Moderately severe pain at night requiring oral analgesia is common for 3 months and overall Improvement continues for up to one year. Knee Replacement patients should be able to flex the knee to more than 90 degrees by 6 weeks post-op. Most patients can be walking freely and be free of significant pain by 6 months. Please inform us if that is not the case and we will review. Patients of working age expecting to return to work are likely to progress more quickly and should discuss their individual circumstances in clinic before surgery. In general return to a sedentary job is possible by 3 months and a physical job by 4-6 months. By 6 months to one year post-surgery patients can expect a significant improvement over their pre-operative symptoms (most notably pain) and continue to improve for up to one year. Assuming no other impediment, most patients should be able to walk within the limit of their general fitness after one year post op and be able to use stairs without needing support. Approximately 80% of patients report satisfaction with the eventual outcome. If any patient is experiencing pain/stiffness beyond 6 months or is otherwise concerned, please inform us and we will review. For more detailed information, please see the section on ‘outcomes of knee and hip replacements’. Sanguinous discharge form the scar is occasionally seen in the first few post-operative days and will settle with renewed pressure bandaging and dressing changes. Patients should persevere with their exercises regardless. Monitoring for VTE and general medical complications is appreciated. Moderately severe pain including at night in the first few weeks is sometimes experienced and may require continuation of strong oral analgesics. Knee replacement patients occasionally experience Arthrofibrosis and a limitation to knee flexion. This will usually be identified in the physiotherapy reviews or please inform us if it has not. A manipulation in the first few months can be offered to expedite progress. Hip replacement patients occasionally experience Trochanteric Burstits in the first 1 or 2 years. If this is suspected, please inform us and we can administer an injection to hasten resolution. Wound concerns: Mr Sehat’s techniques pay much attention to wound closure and asepsis. Cellulitis around the scar or wound dehiscence is uncommon. Simple inflammatory erythema is common and often resembles cellulitis. If you are concerned about the appearance of a wound or suspect an intra-articular infection, although this would be rare, Mr Sehat would prefer that empirical antibiotics are not prescribed. 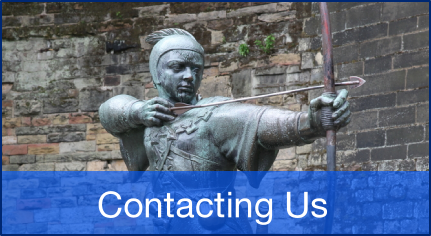 Please instead contact us (details under ‘urgent concerns’) and we will arrange a prompt review. In the very rare situation of an actual infection, microbiology samples will be obtained prior to any antibiotic administration. Patients with persisting or excessive pain or stiffness, beyond the usual peri-operative course, will also be reviewed early – please inform us if you have a concern.